If you have always been an athletic person, you know the importance of a good Softshell jacket. For those of you who have just recently gotten into sports, Softshell jackets are mostly used as an inner wear, under a heavier jacket, when the days are too cold. They can also be worn alone, when the weather is suitable or depending on the type and location of the sport you are practicing. They are designed to be comfortable and light, so you will not feel as if you are wearing too heavily. Their design is such that it allows for the jacket to be breathable and to fit tightly to your upper body, so the movement will be comfortable and easy. With an abundance of options to choose from and a wide variety of designs, it can definitely be confusing and even bothersome, when it comes to making the right choice. Some might choose based on the way the jacket looks, while others might look for a quality material. For this article we have found several softshell jackets which are made of high quality material and also look good. 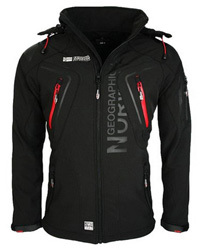 Geographical Norway is the brand that has designed these jackets, offering choices for both men and women. 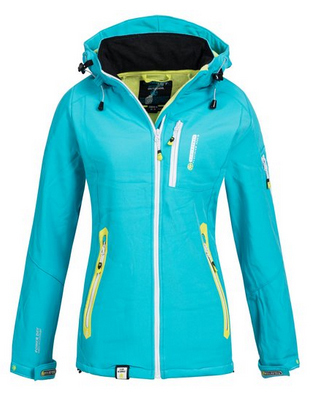 The first one on our list, is a jacket for women. 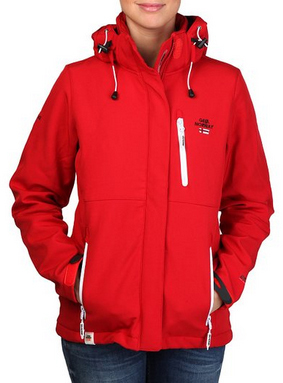 It is form – fitting and comes with an adjustable hood with drawstrings. It is made of 96% polyester and the remaining 4% is elastic material. 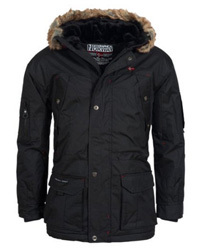 The inner lining is also polyester, therefore making the jacket waterproof. The front closes with a zipper and there are wrist cuffs, to completely insulate your body from the wind, rain and low temperatures. There are three pockets to the front, and one pocket on the left arm. It comes in two different color combinations: coral and green, white and purple. The Trafalgar model for women is designed to provide you with the utmost comfort and with its form-fitting design, it allows for free movement, without any restraints. It is made of polyester and elastic material, with an inner lining of fleece and polyester, so it’s much warmer than the previous jacket. The material is breathable, waterproof and fast drying, ideal for outdoor sports. It comes with a removable hood, two side pockets, one chest pocket and a pocket on the sleeve, all with zippers. There are also two internal zip pockets with an opening for earphones. The cuffs can be adjusted with Velcro, as can be the hood and the waist, with the drawstrings. There are five colors to choose from: coral, black, grey, white and purple. 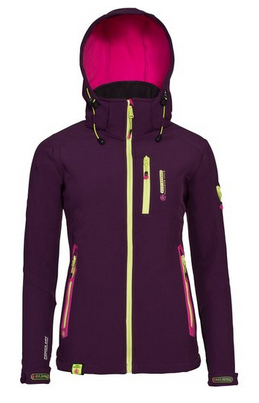 This outdoor jacket for women is designed to keep you dry and warm, no matter what. It comes with a high collar which offers protection against wind, an adjustable and detachable hood and rain resistant zippers. There are two side pockets, one chest pocket and one on the left sleeve. There are also two inner pockets on this jacket and a cable duct for earphones. 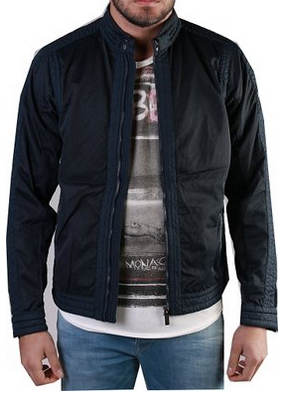 The material is Polyester and elastic, making it a very durable jacket and waterproof. It is also insulating and very breathable, due to the material and the Velcro and drawstrings to close it all up, shielding you from rain and wind. There are different colors to choose from: grey, turquoise, coral and violet. 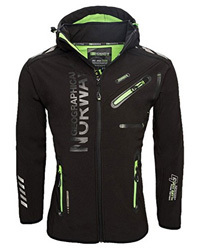 Read our in-depth review of this jacket here. 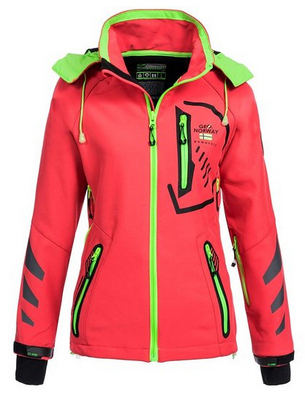 The Tchika jacket for women, comes in different colors: red, black, green, pink, turquoise, white. 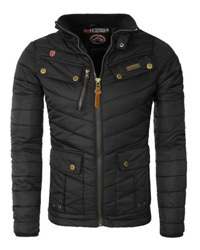 It is made of top quality material, like every jacket on the list and like them, it is waterproof and windproof. This is a bit heavier than the other softshell jackets for women, making it perfect to wear on its own, in challenging weather conditions. There are six pockets, two on the inside and four on the outside, with one being on the sleeve. They close up with zippers which have big handles, making it easier to zip them up even while wearing gloves. The hood is also detachable and can be adjusted with drawstrings. The material is very breathable and durable, since it’s made of polyester. The inner lining is a combination of polyester with a filling of fleece, which makes this jacket much warmer and a bit denser than the other ones. The material is also quick – drying and there is also an earphone duct on one of the pockets. There is Velcro on the sleeve cuffs, which serve as a guard against snow and rain. 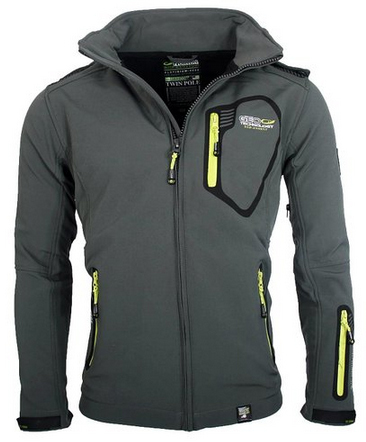 It is insulating and thermo-regulating, so you will remain warm and cozy while wearing it. On to the next jacket, this one is for men. It has a detachable hood, so you can choose to wear it or not. There are two side pockets and one pocket on the chest. There is also a pocket on the left sleeve, with the wrists being adjustable to provide protection against weather conditions. 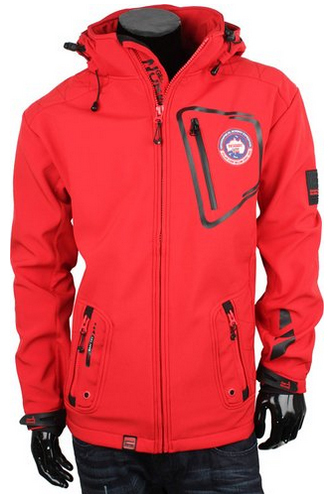 The material is 100% Polyester, giving the jacket waterproof and windproof qualities. There are also many pores on the jacket which make this jacket very breathable, so sweating will be minimized and you can enjoy your activities without any discomfort. It comes in four colors: white, grey, red and blue. Suitable for any sport and with a very casual design, this jacket can be worn on a daily basis, even if you’re not a sport’s fanatic. It is made of polyester and with a very porous outer lining, which ensures maximum breathability. It is durable and comfortable. There are two zip pockets on the sides and the front closes up with a zipper as well, with clasps on the collar. There is no hood on this jacket, so keep that in mind when it comes to rainy days. It comes in the color black. The last jacket on our list is this outdoor Softshell jacket for men, that comes only in the color red, and has a very modern and trendy design. You can choose to wear it with or without the hood, depending on the weather. The collar is high, to keep you safe from the wind and the cuffs are closed with Velcro, which makes for complete insulation against the rain. There are three pockets on the outside, with two being on the sides and the other one on the left breast and they all close up with zippers. It is made of Polyester and elastic material, making it comfortable to wear and also giving it the waterproof and breathable qualities, to keep you dry at all times. It can be worn on its own as it’s thicker than a typical softshell jacket, therefore making it suitable for different sports and weather events.